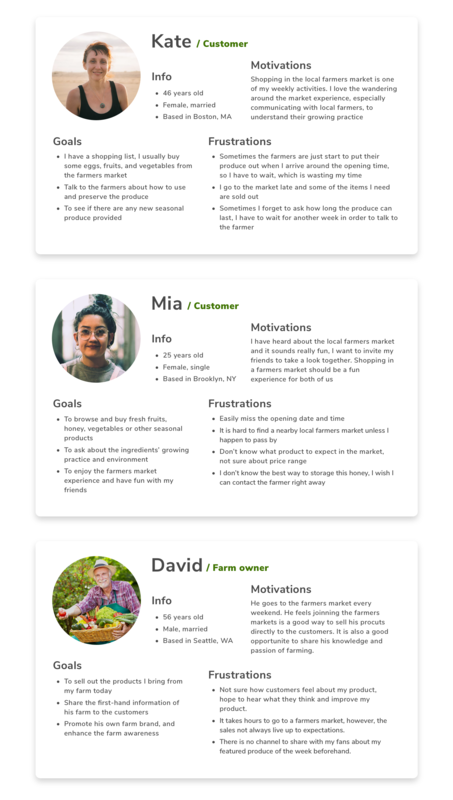 Objective - Build an information platform that enhances the user experience of the farmers market: by making the farmers markets' information more timely and accessible and giving farmers access to consumer demand and feedbacks. My Role - This is a team project, include Gigi Huang,Ting Li, Quan Long, Lynn, Bilan Liu, Zhiyuang Yu. 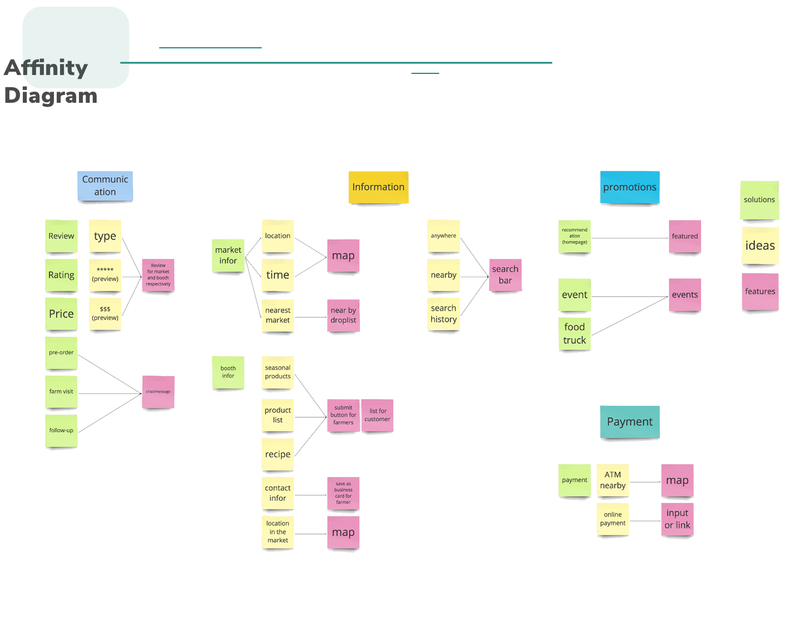 We all participated the user research, I was exclusively in charge of the visual research report, and most of wireframe creation and iteration. 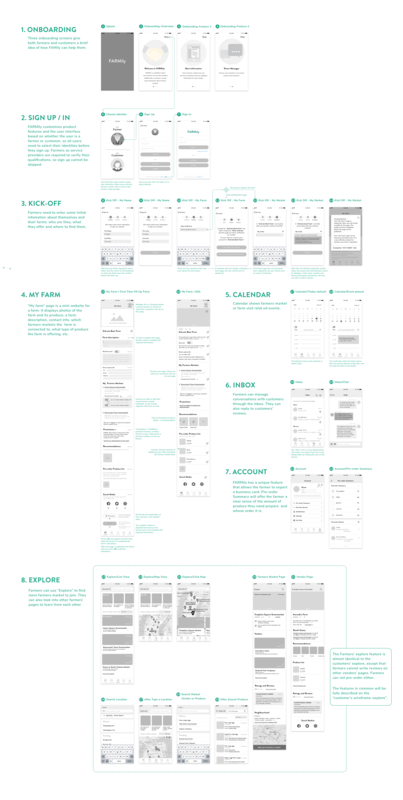 ‍Challenge - When we are doing internal critic of the wireframe; how to handle teammates' critic properly; remember to take note during a meeting about the content modifications and who would be in charge. 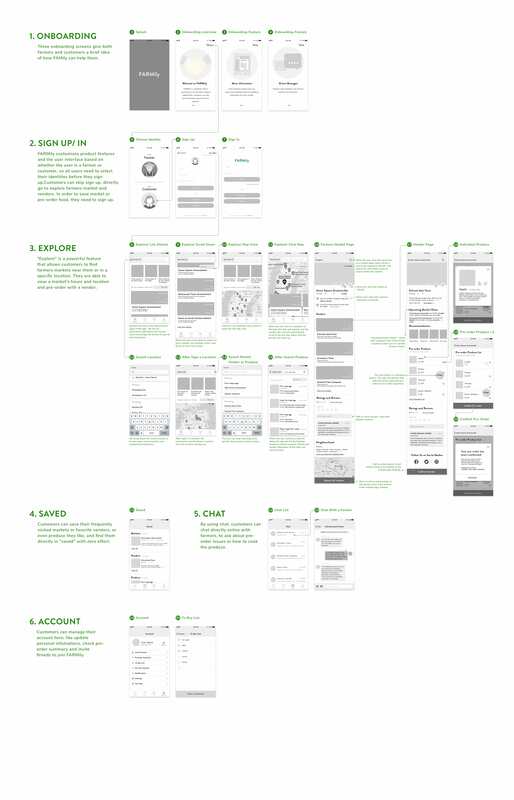 ‍Final product showcase - UI and wireframe. 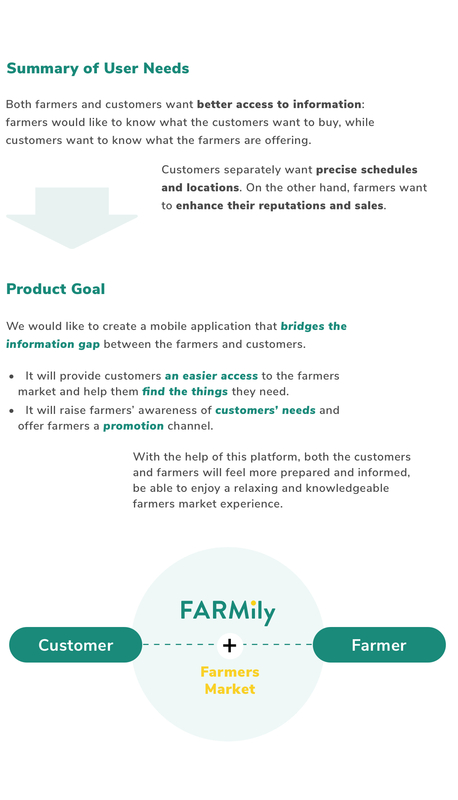 FARMily is a platform where local farmers can register an account to list and show their products. 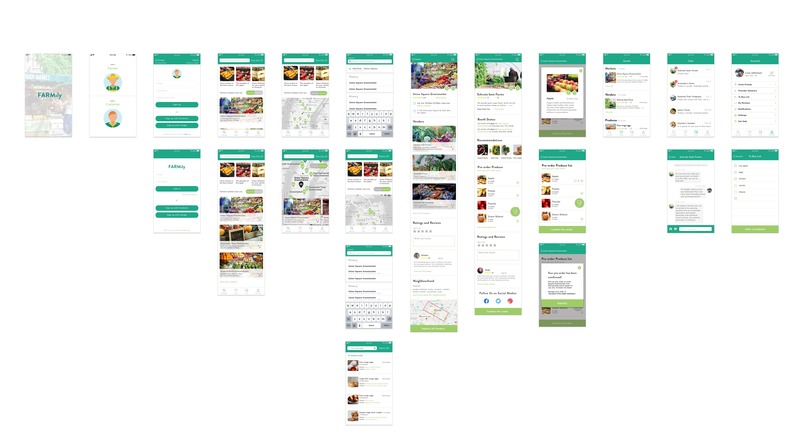 It also allows customers register to get more information about nearby farmer markets and reach out to local farmers directly.